Crack Chicken Tacos are so aptly named because after you try this delicious kicked up taco, you will become amazingly addicted. Look below for a taco recipe to light your taste buds on fire in a good way and please your family with a delicious homemade chicken recipe tonight. At the end of a long work and school day there is nothing my family enjoys more than a hot meal that makes them come back for more. For us, that is Crack Tacos, a delicious rendition of the chicken taco complete with a kicked up BBQ sauce and a drizzle of ranch dressing. These crack chicken tacos are perfect for a week day, weekend end, or if you need something hearty like I did this weekend, a perfect lunch. Of course if this one is not your thing, this Ranch Chicken recipe makes everyone clean their plate or these chicken Parmesan fingers always hit the spot. But tacos? Now I love tacos in any way, shape or form. I can gladly serve up a Taco Tuesday or Taco Thursday on any night of the week and this recipe takes your dinner to a whole new level. Taco Gear for your Crack Chicken Dinner! Y’all, I am about to change your ever loving taco life. Do you love making tacos like this but all your delicious STUFF just falls out?? I have to tell you putting a few soft tacos on a plate is just super sad to me. It all falls over and looks like a piel of your yummy chicken and toppings in a mess on your plate. NO MORE, people, NO MORE! Deliver your tacos to your family with ever morsel still inside with taco holders. 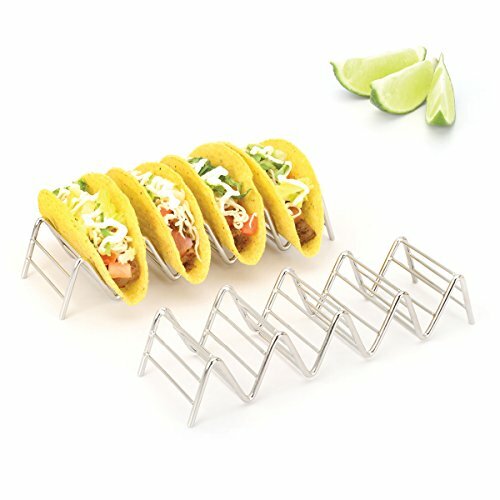 Taco holders are freaking amazing. Check them out by clicking below and thank me later. 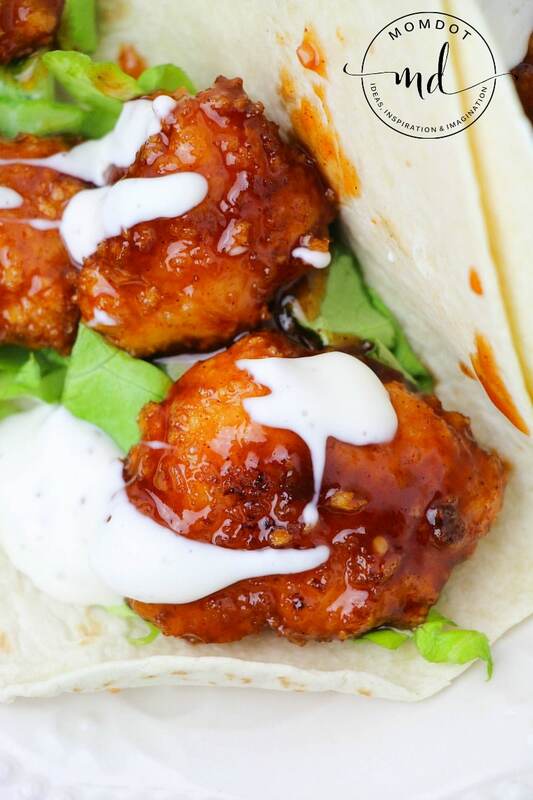 Ready to make and enjoy your crack chicken taco recipe? Grab the ingredients below and then the instructions below that. A printable version of this recipe is available at the bottom to make it easy for you to bring to your kitchen instead of using your phone. Just scroll to bottom to print! Did you know that you can pick up a ton of non-perishable items in Amazon? Its one of my favorite places to shop and I do not have to drag my family along! Check it out here. In a large Ziplock bag , combine the diced chicken and flour and shake until fully coated. Set aside. In one bowl, add panko bread crumbs, salt and pepper. In another bowl, whisk eggs and water. Dip chicken in egg mixture then in panko crumbs, turning until fully coated. Place coated chicken on a lined baking sheet and repeat with all chicken pieces. Bake for 20-22 minutes until golden. Towards the last 2 minutes of baking the chicken, combine the BBQ sauce, brown sugar, lime juice and garlic in a small saucepan over medium heat. Stir and heat until it forms a cohesive sauce, taste and adjust as needed. Add the chicken to the saucepan and stir to coat. Serve crack chicken in tortillas with shredded lettuce and drizzled with ranch dressing. Prefer to print your recipe? I do too! Just click below to print! 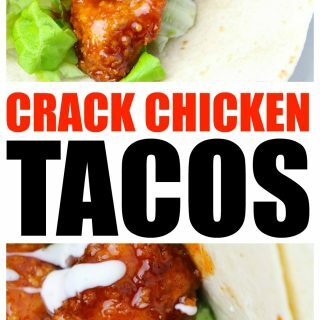 Crack Chicken Recipe is perfect to make addictive and delicious taco dinner tonight. In a large Ziplock bag, combine the diced chicken and flour and shake until fully coated. Set aside. In one bowl, add panko bread crumbs, salt and pepper. In another bowl, whisk eggs and water. Serve chicken in tortillas with shredded lettuce and drizzled with ranch dressing. Of course these taste restaurant quality, but if you want restaurant food, you can always opt for this Copycat Chik-Fil-A Nugget recipe instead! 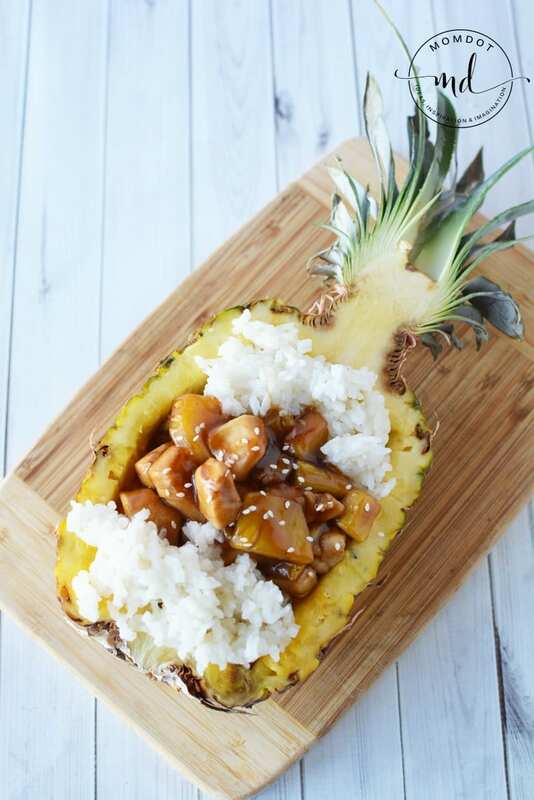 Looking for more delicious recipes for dinner like this pineapple chicken tenders recipe? Click below to see more great ideas that you can menu plan with.